Few film scores this year are as personal as Brave. Pixar's new Highland-based animation marks a homecoming for Scottish composer Patrick Doyle, having recently dabbled in Hollywood with the likes of Thor and Rise of the Planet of the Apes. Given Doyle's intimate understanding of his heritage, one might expect to be swept away to a mythical land of lochs and legends but his score is surprisingly subtle for the most part, quietly introducing the charming main theme (alongside a few others) before unleashing it in full at the climax. Brave marks a change of pace for Pixar as well. A somewhat conventional fairy tale tale story set in 10th century Scotland, the film has nonetheless drawn the studio's usual acclaim. 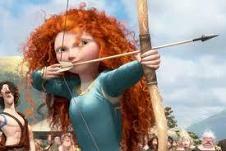 Kelly McDonald voices Princess Merida, bored of her regimented life and in regular conflict with her mother Elinor. When she defies an age old custom with the hope of changing her fate, Merida brings chaos to the land, and after her family is cursed by a witch, must make amends for her mistake. A troop of familiar British character actors round off the voice cast, including Emma Thompson and Billy Connolly. Doyle's score will inevitably draw comparison to James Horner's classic Braveheart but it's different in several ways. 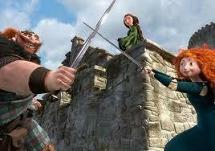 For one thing, the thematic content in Brave isn't as overt as Braveheart; secondly the music aims for a greater measure of authenticity not only through the instrumentation but in the deployment of Scottish dance rhythms such as reels, jigs and strathspeys. Whereas Braveheart was a rousing, grand score in the greatest Hollywood tradition, Doyle's effort is rooted in intimacy and movement. After two songs from Julie Fowlis (Touch the Sky; Into the Open Air) and one from Mumford and Sons (Learn Me Right, performed by Birdy), Doyle's score begins in "Fate and Destiny". A beautiful track, it opens with lilting bagpipes and pennywhistle before a rousing jig theme carries the listener across the heather to the mountains and beyond. The jig melody actually derives from the amusing "Song of Mor'du" which appears later on. 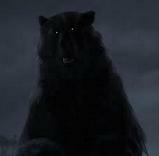 Sung with relish by Billy Connolly and a host of others, it provides a note of Gaelic defiance in the face of the notorious black bear stalking the periphery of the film. The track concludes on a thoughtful note by introducing the elegiac main theme for the first time, earthy fiddle and stately strings ruminating on the essence of destiny, and how it will impinge on the characters. The bagpipes return during the haunting opening of "The Games" before the delightful assortment of lively strings and bodhran drums usher in another terrific rendition of the Mor'Du theme. When the bagpipes join in, it's a joy. "I Am Merida"' introduces some surprisingly dark and desolate music, with the woodwinds in stark contrast to the timpani hits and tremolo strings. "Remember to Smile" is a more robust affair, deploying the full range of the bagpipes, orchestra and percussion to almost ceremonial effect; it's the sort of music you'd expect to coincide with the arrival of Scottish pageantry. Doyle has expressed his delight that the bagpipe sections of the score were performed by the acclaimed Red Hot Chilli Pipers, a 4 piece group who, when recorded in a big hall, in Doyle's words 'sound like 44'. "Legends are Lessons" then pulls the score back in a more emotional direction with some beautiful, heart-rending cello work. The track then concludes on an especially lovely note with a rendition of the main theme on solo trumpet which is quite sublime. Again, the thematic content is there but it's fleeting, only rearing its head in dribs and drabs. "Show Us the Way" isn't the grand piece of revelation one might expect from the title but a dark, vicious piece of suspense music then eventually erupts in a massive action sequence. This is then counterbalanced by the gentle Uilean pipes in "Mum Goes Wild" and "In Her Heart". The last principal theme then appears in "Noble Maiden Fair". A charming lullaby co-written by Doyle's son, performed by Emma Thompson and Peigi Barker, it reflects the close bond between Elinor and Merida, one which drives the film's narrative. It's a marvellous piece of music, characteristic of Doyle's sensitive touch. The final triumvirate of "Not Now! ", "Get the Key" and "We've Both Changed" offers up some wonderfully dynamic action music. Bagpipes play against dramatic, high end strings and thunderous cymbal clashes as the main theme is brought across in dynamic fashion, lending a sense of urgency to the music. It's both exciting and emotional, and, typical of Doyle, there's plenty of time to focus on the little touches – the heartbreaking fiddle midway through "We've Both Changed" for example, which then leads to a tender vocal rendition of the nursery rhyme theme. However, the score saves the best for last. "Merida's Home" is a spectacular capper, deploying the beautiful main theme to its fullest effect and lending a glorious sense of movement through the full orchestra, whistles and tambourines, the perfect send off for a score that had previously held its emotions in check. It's proof positive that film scores can work by refraining from unleashing their themes until the end; in this instance, it's entirely to the score's favour as the sense of cathartic release is palpable. The track really is one of the most memorable of Doyle's career, calling to mind Carter Burwell's Rob Roy and also Howard Shore's Hobbiton theme from Lord of the Rings. It is true however that the score requires a degree of effort on the part of the listener. 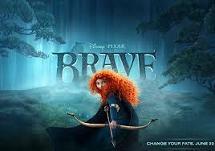 Unlike Doyle's lush mid-90s scores such as Sense and Sensibility and A Little Princess, Brave is more restrained and reserved, based around a series of themes but deploying them only in sparing amounts. 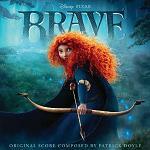 In the hands of a lesser composer, the score might risk becoming anonymous but Doyle's excellent exploration of his musical heritage, combined with his likeable musical voice, ensures that Brave is worth the effort. It's perhaps not as immediately gratifying as his more acclaimed works but repeat listenings pay dividends and while Brave may not be rousing enough to inspire a love of woad or haggis, the score proves why Doyle is one of the most underrated and brilliant composers in the business. Patrick Doyle's Brave is available as both a CD release and digital download at Amazon.co.uk and Amazon.com, in both CD and MP3 download formats.